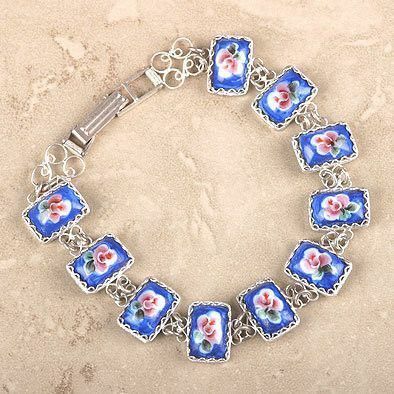 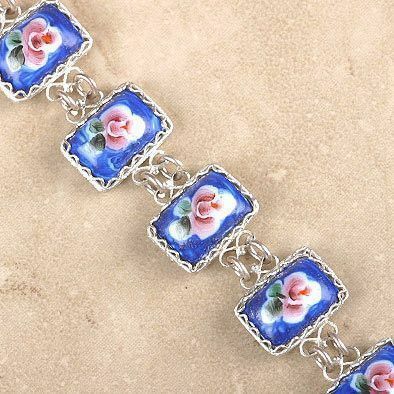 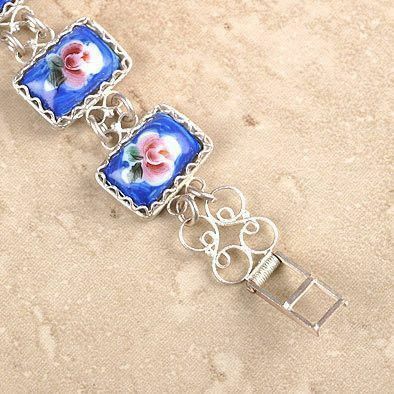 This beautiful finift bracelet features a rich color scheme, which is typical for Rostov enamel. 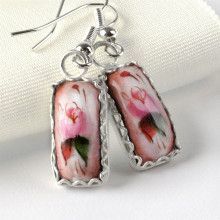 Each finift stone is hand painted and measures 1/2". 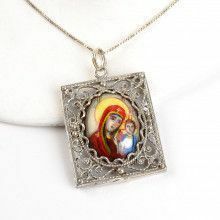 Each piece of Rostov Finift is adorned by fine filigree of silver-plated copper known as German silver. 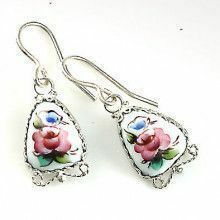 The art of Russian Enamel painting, named "Rostov Finift", originated and flourished in Rostov since the 1700s. 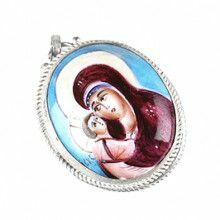 Today, artists in the Rostov Finift factory in Russia use the heritage of ancient masters to create such delightful masterpieces. 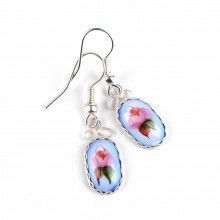 Enamel jewelry items are well known all over the world for their high quality and designs, luster and transparency of enamel colors. 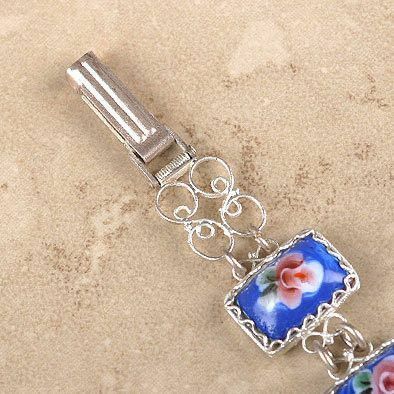 Fine filigree of silver-plated copper known as German silver, designed with skillful workmanship, adorns each piece of Rostov Finift.